Pila is the last name of my SO's family which literally translates to "How much?". Camotes is an island group located at the east of Cebu. Legend has it that when the Spaniards came to the island and asked the natives of the name of the place, they answered "camotes" (sweet potatoes) thinking that they were asked what they were harvesting. We got up early last May 23 to catch the first trip from Danao to Camotes. Unfortunately, due to some unfavorable (and I believe, ILLEGAL) acts of some people, we were not able to procure tickets for the first trip - even those people who were already there at 3AM! Just a tip I want to share if you're planning to go to Camotes, you could actually get a round-trip ticket from North Bus Terminal. I've just learned this information when we already reached there. It is a two-hour ferry ride from Danao to Camotes. When we reached Consuelo port, the area is already crowded with a lot of service cabs and motorcycles. It seemed to me that the crowd tripled from the last time I was here - which was three (3) years ago. There we saw our trusty tour guide who drove us to Masamayor's Beach House and Resort where we had our room reservations. We had our breakfast and got our lunch packed for our tour. 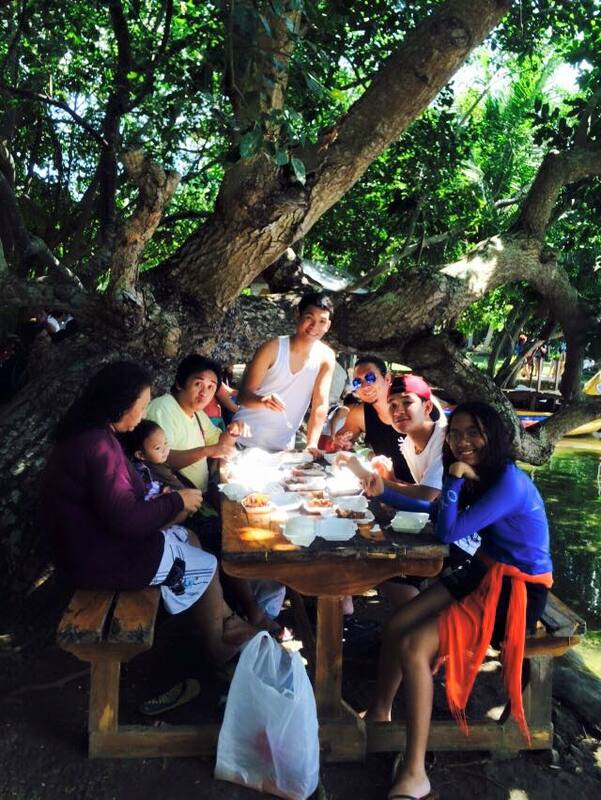 Our first stop was the Mangodlong Rock Resort. One thing I really liked about this resort is I don't need to go very far in order to take a good swim even on low tides. And I believe it was not just me who enjoyed the place. Everyone else happily plunged into the water. And if only there was nowhere else we'd go, I believe everyone would have chosen to stay a little bit longer. The resort also offers some nice views for a perfect summer shot. You may also avail of some of their activities such as jet skiing. 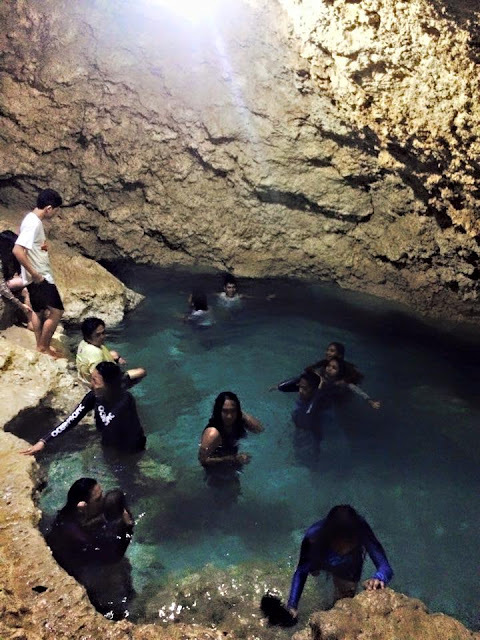 Second stop was at Paraiso Cave and Restaurant. This was not in our itinerary three years ago so this was also my first in the said place. 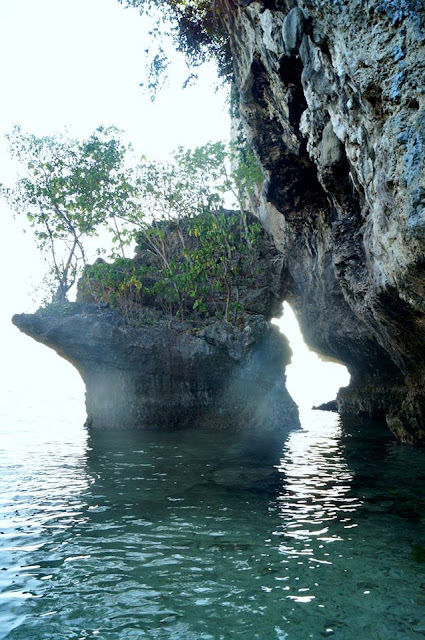 Among the caves I have visited in Camotes, I find this one the smallest. There aren't much to explore and the spring is only a few steps down from the entrance. The water was very cold and deep for someone who is only 4'11" in height. 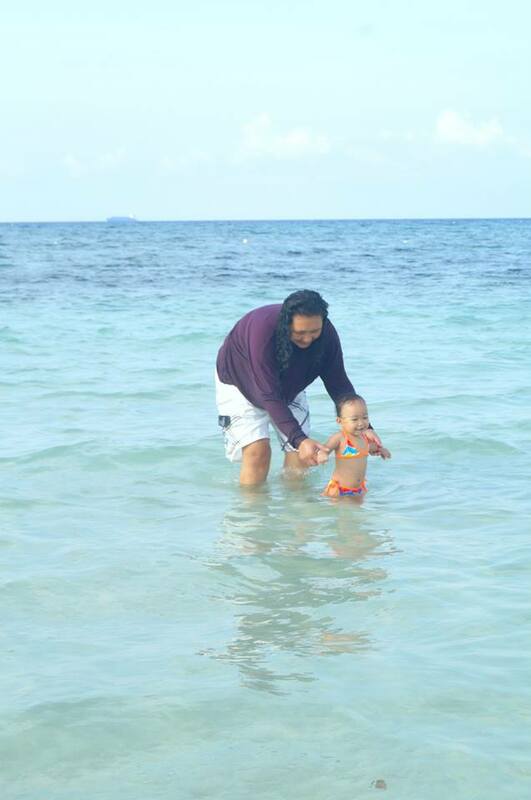 And although the water seemed crystal clear, I did not spend too much time in it in fear of getting muscle cramps; contrary to my daughter who seemed to be enjoying herself very much even if it was really cold. Next on the list is the famous Lake Danao Park. I could still remember the first time I was there, it was just the big lake, the floating cottage and the kayaks. There were no other guests than us. On my second visit, they improved a bit and started building some tables and cottages. Now on the third time, a lot has improved. And the population of the guests just went ten times more than the last time I could remember. There were also more tables and cottages. We decided to have our lunch there. There are a lot of activities you could do at Lake Danao Park such as boating, kayaking, horseback riding, etc. 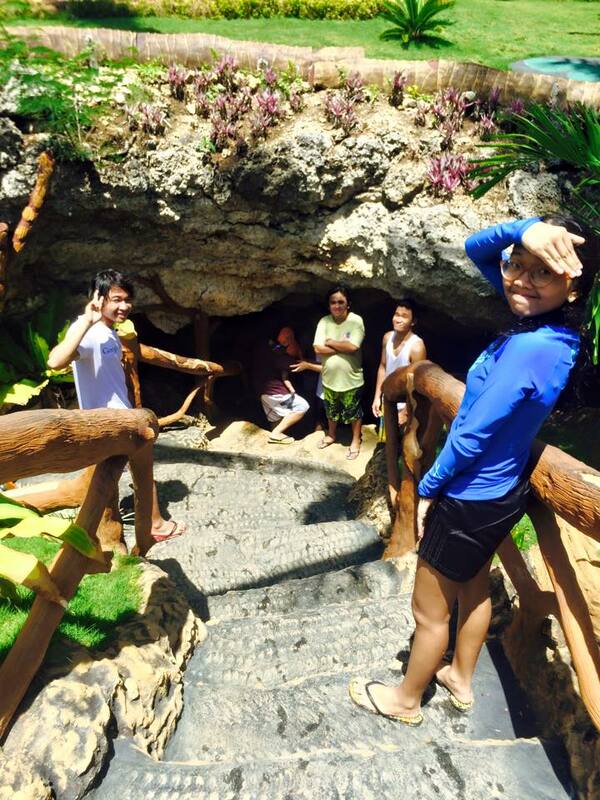 After we had our lunch, our tour guide asked us if we would like to visit the Holy Crystal Cave wherein he mentioned it will be a really challenging one as we might do some crawling and bending over. It seems quite an adventure but since we have an infant with us, we had to skip this one. And if you're a little curious as to what we've just missed, here's an informative review. We proceeded to another cave, the Timubo Cave. It is still the same cave as the last time I was there, but this time with so many people! That's right, the place was heavily crowded that they're already setting a time limit of 30 minutes for every guest. 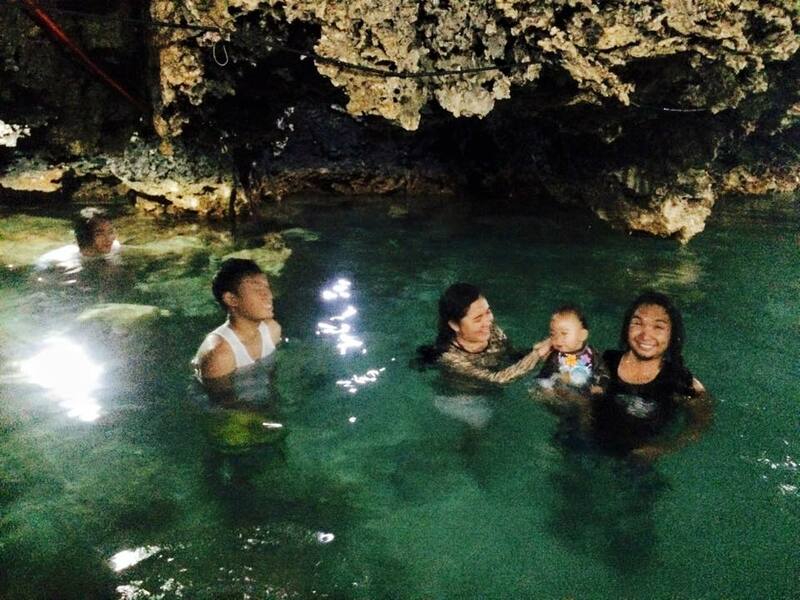 But the crowd did not stop us from enjoying the cave - especially my daughter who really loves splashing in the water. 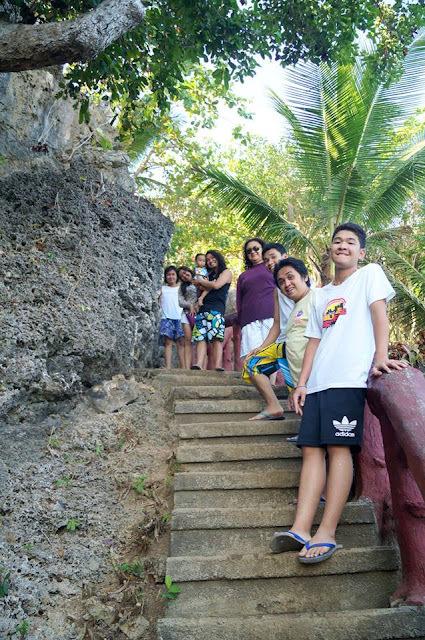 We didn't stay too long and went on to our next stop - cliff-diving at Buho Rock Resort. I was a bit excited because I know how much my SO loves to dive. But when we reached the place, I couldn't hide my dismay. The place in itself is still so beautiful and picture perfect. It's just that I really don't like large crowds. There were a lot of people standing by the cliff and it would be kind of hard to ask them to move down without us appearing rude and arrogant. Because it seemed impossible to do what we went there for, we just had to enjoy ourselves swimming on the foot of the cliff, instead... And maybe just take some pictures. It was already late in the afternoon when we decided to head back to Santiago where we continued splashing in the water. After the sun had set, my SO and I headed to Pito's Sutokil to reserve a table for our dinner. 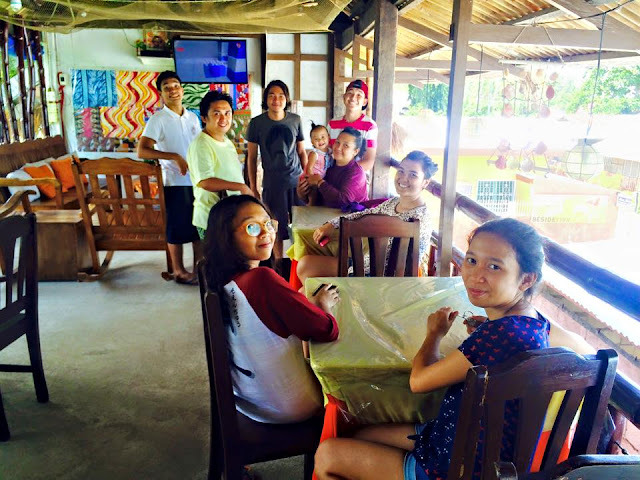 In my previous visits at Camotes, I have always stayed at Pito's Sutokil and I could vouch that their food tastes great and are very affordable. We had a fulfilling dinner. My personal favorite that night was the beef steak. We headed back to our rooms and I dozed off rather early while the rest of the guys had their inuman session. Early the next day, we had a light breakfast and proceeded immediately to have an early swim... and of course, pictures! By 10AM, we got ready to leave so we could reach the port by 11AM as what was advised by our tour guide. In the past few years, the tour guides were supposed to get the tickets beforehand so it would be convenient for their guests. However, because of some "illegal" acts (as what is also happening at Danao port) of some people, they stopped issuing tickets for the tour guides. And even if we did got to the port early, the available trips left are the 4PM trip onwards. Fortunately, we brought with us some grub in case we go hungry. If you aren't patient enough, here's a little tip. I could remember on my first time there, there was a wharf somewhere where there are a few boats from Leyte that would pass by and if they're not fully loaded, they'll dock and get some passengers from Camotes. Not sure if it's still in operation, though. You might want to clarify this one when you go visit. But prolly the best option is to really get a round-trip ticket. I highly recommend it. 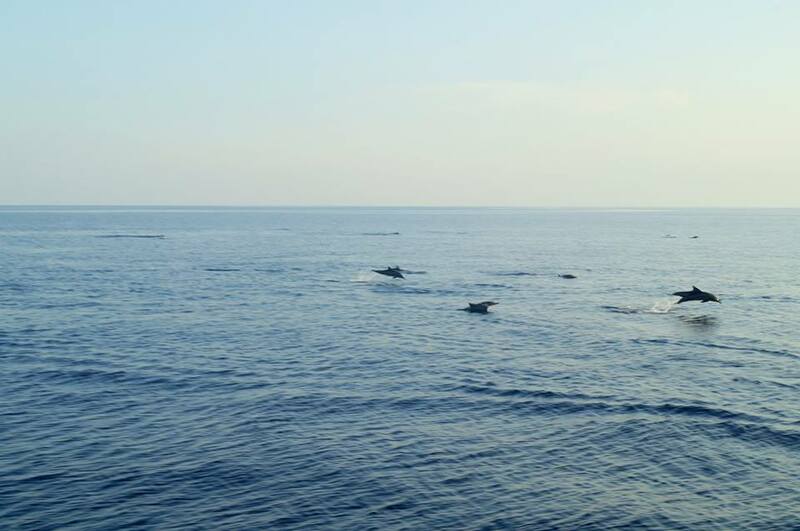 We were also accompanied by dolphins on our way to Danao. Yay! 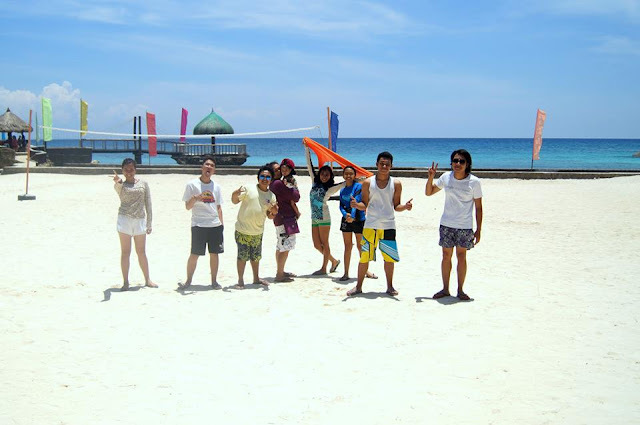 So that was our mini summer escapade in Camotes. My conclusion? 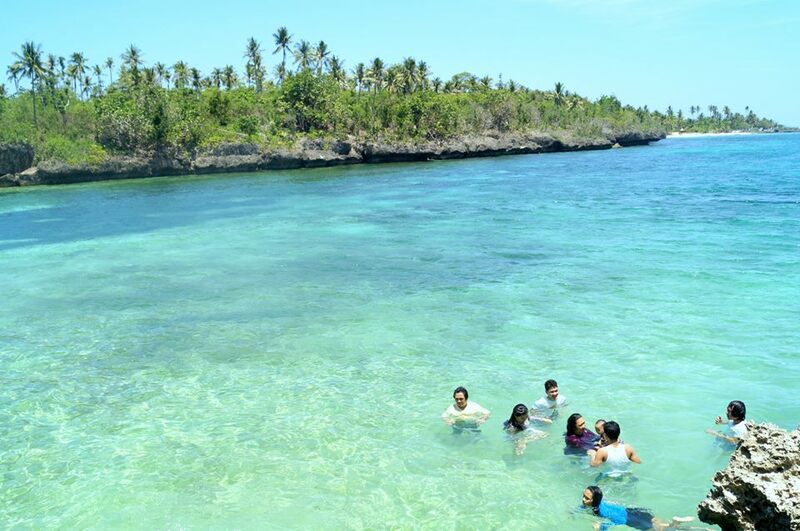 Camotes is a really beautiful place. It offers much more than just its picturesque resorts. 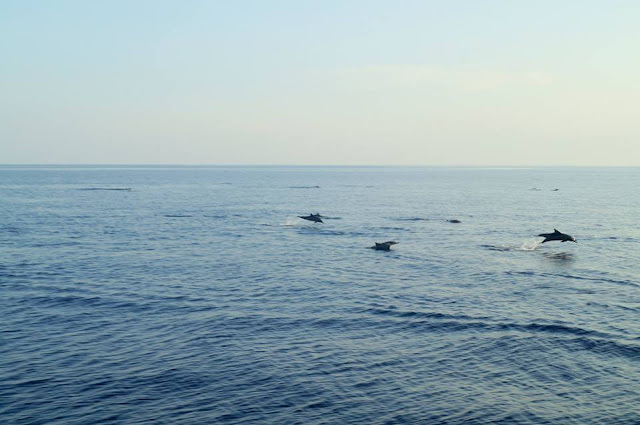 There are also a lot of other activities you could do such as kayaking, boating and diving. The con's of this whole trip would be the overly populated spots (because A LOT of people are also having their tours), and the hassle of getting tickets from Danao to Camotes and vice versa. And if you're like me who hates a large crowd, there are still some secluded areas in the island such as the bakhaw beach which is not yet too commercialized.